Judging by the annual number of passengers, London Bridge Station is the fourth most busiest station in London, as well as in the United Kingdom, over 54 million people crossing its platforms every year. The station was opened in 1836, being the first and also currently the oldest railway station in London and it consists of nine terminal platforms and six through platforms that provide services from the South and South East areas of London. The through platforms are situated in the north side of the station of which the first three are served by trains coming and going from and to Cannon Street, while platforms 4-6 are serving the trains from and to Charing Cross. Platforms 5 and 6 are served by First Capital Connect with the Thameslink services from Bedford to Brighton. Platform 7 is a terminal one, platforms 8-13 occupy the southern side of the station and are providing services mostly towards southern London, while platforms 14-16 are currently closed. Regarding the underground station, London Bridge station is the sixth most busiest in London and the only station which has the word London in its name. It is situated between Bank and Borough on the Northern Line and Southwark and Bermondsey on the Jubilee Line, being serviced by two platforms on each line, all of them being accessible from the entrance on Borough High Street. London Bridge Station is also being served by 14 bus routes and by 6 night bus routes, the bus station being on the station forecourt. The southeastern platforms handles a number of 16 trains per hour to Charing Cross and 14 trains per hour to Cannon Street featuring trains to Dartford, Slade Green, Hayes, Gillingham, Orpington, Sevenoaks, Turnbridge Wells, Hastings and Dartford with stops in other stations like Lewisham and Greenwich. From the southern platforms you can travel by train to London Victoria, West Croydon, Caterham, Tattenham Corner, Horsham, Uckfield, Tonbridge, Reigate and also to Brighton, Sutton, Littlejampton, Eastbourne and Southampton. In order to get rail transport from Luton Airport to London Bridge Station, you have to take the bus, from the bus station at the airport to Luton Airport Parkway train station. From here you can take a train, every 20 minutes directly. The journey time is about 50-55 minutes. From the station it’s a 5 minute walk to the tube station. If you wish to travel by car from Luton Airport to London Bridge Station, you must take the M1 motorway, until Sunny Hill Park and from there continue on A1. The distance from the airport to the station is about 35.3 miles and the journey time depending on the traffic is between 1 hour and 1 hour and 30 minutes. 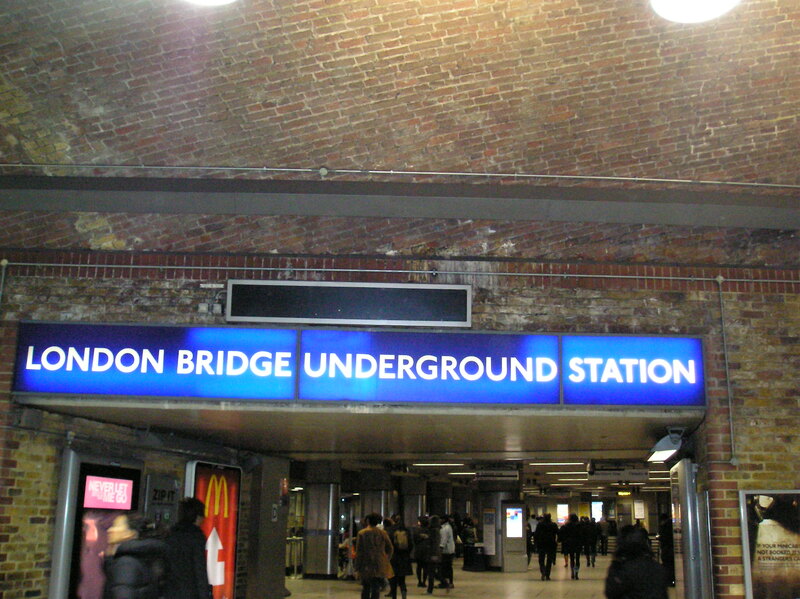 You can get a London Luton Transfer to London Bridge Station by calling 247 Luton Airport Transfer. The journey with the transfer costs 65 GBP for the saloon car and it takes approximately 1 hour – 1 hour and 30 minutes..